Vaping advocates have known for a couple of years now that the standard of media reporting on e-cigarettes is truly dire. Personally I hoped that when Public Health England said last year that scaremongering about tiny amounts of chemicals was frightening people back to smoking there would be a sudden improvement in quality. After all, surely the most in-depth study yet would carry some weight with the media? Every so often my mind is taken back to the funny old days. Y’know, when I was young. (Not “younger” – “young” – they’re not the same, but could be). In those days (the 60s) there was a bit of a campaign going on – nothing massive, just the gentle demonisation of nicotine and alcohol as proxies for smoking and drinking. Popular crooners of the day featured “Nick O’Teen and Al K Hol” in their songs, sometimes in a kind of “I like these” way and sometimes in a “they’re the very devil” way…. As piss poor legislation goes, the EU’s updated Tobacco Products Directive (TPD2) – which regulates e-cigs to within an inch of their life along with other ideologically stupid nonsense – ticks a lot of idiocy boxes for law-making and proves the public are correct in despising modern politicians and bureaucrats. 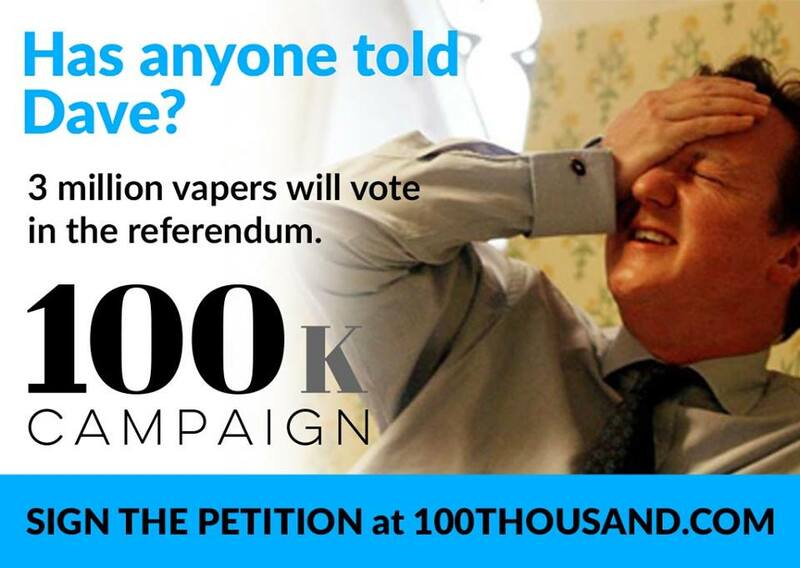 It hasn’t been missed by those campaigning against our membership of the EU either, I mean how could it…? Today I had to have my eyes looked at, blocked tear duct. Nothing major and I was seen by some lovely people at Gloucester Royal Hospitals eye clinic. I had to put a prescription into the pharmacy and wait, so with the hospital being pretty busy I thought I’d grab a cold drink and go outside…. Whenever you read a piece – most typically in The Guardian or Independent although sometimes these days in any media going – that talks about some or other ‘public health crisis’, the focus is always on things that people other than the writer is consuming. The problem with lager, fags and junk food isn’t merely their supposed unhealthiness…. 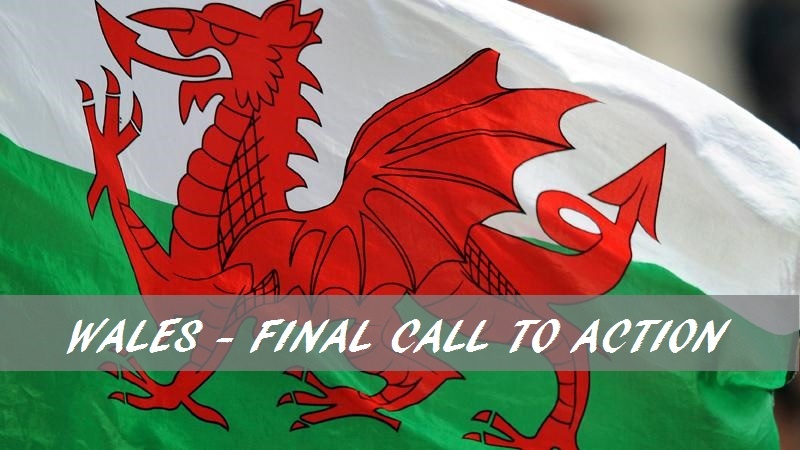 LAST CHANCE for action to stop the Welsh Labour MADNESS! On 8th March 2016 Welsh AMs (Assembly Members) vote on whether to ban ecigs in (broadly) enclosed public spaces; this will probably include some outside locations too (playgrounds etc). This is obviously not based on science, its predicated on a vague worry about re-normalisation of smoking and a putative gateway effect from ecigs to smoking. Today I received a large number of messages about a new scary story in the media, coming from Hong Kong. The story says that e-cigarettes are “a million times” more harmful than outdoor air. I was intrigued to see what kind of a story that was, and once again I was shocked. Marco visits an e-liquid production facility, Dimitris updates us with HR2058B and Matt takes a look at the Geek Vape Griffin. All this, and more! Recently, a debate has broken out in the tobacco control community about tobacco industry-related conflicts of interest in research. One recent commentary went as far as arguing that academic journals should not publish research on electronic cigarettes if that work is funded by the tobacco industry. I have watched with some amusement the swirl of attention around this op-ed (for that is what it is) by Jim McCambridge, in the journal Addiction, calling for further censorship of THR research, and this response to it in a blog post by Neil McKeganey and Christopher Russell. This one’s the worst: “Formaldehyde Laced Laminate Flooring Causing Cancer.” But there are plenty of close seconds. The hysterical headlines that you have been seeing in the news about a bad batch of wood laminate flooring from China might lead you to think that formaldehyde was spewing from the floor into your home in such vast quantities that it would quickly send you to a different sort of “home” where formaldehyde is present…. In a commentary piece published in the journal Addiction, Professor Jim McCambridge from the University of York sets out why, in his view, academic journals should not publish any e-cigarette research funded by the tobacco industry. The basis for McCambridge’s view is, not as it turns out, evidence of current misconduct on the part of the tobacco industry….